This Intensive is the second in a series focused upon dynamising the symbolic potential of a birthchart, to apply timing and prediction. The ancient way of Profection will be introduced, which identifies the relevant planetary ‘timelords’ most active in any given life-year, (or month, or day). It is interesting to see that a number of 21st century astrologers are exploring this method and reporting fascinating results. 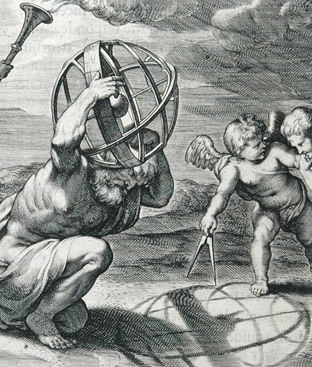 The simplicity and elegance of Profecting made it a popular forecasting system in astrological heritage. It is based upon ‘turning’ a chart by secondary motion along the zodiac, moving important points and planets through each sign in a regular round. An established and delineated natal map is all that is required to begin with, for even though it is cyclic this technique is still very personalised to the individual story. It is important to remember that no single dynamic method was alone sufficient, and astrological symbolism would be best ‘calibrated’ by layering various ways. Profections can especially give a clearer context to transits, directionalising their meaning (for instance the prime natal significance of one person’s Venus might indeed be about relationship, but another’s could be more concerned with health). Profections also attune the potency of a transit and its ability to actualise (for instance, a transit to or from Mars will be more likely to manifest if Mars is also ‘activated’ as a profected timelord). By such means natal possibility is highlighted, orientating the astrologer’s attention to the most effective judgement. This intensive (AP25) was first presented on the Gold Coast(GCAS) in November 2011.